The Big Five define that ultimate African safari experience. And no wonder: seeing these impressive animals – lion, rhino, leopard, elephant and Cape buffalo - roaming freely in their own habitat is something you will never forget. But you might wonder why those specific animals are part of the Big Five? Is a giraffe not large as well? Here is a factoid: the term ‘Big Five’ was coined by big game hunters and is not derived from the size of the animals. These animals proved to be most difficult to hunt, mostly due to their ferocity when cornered. 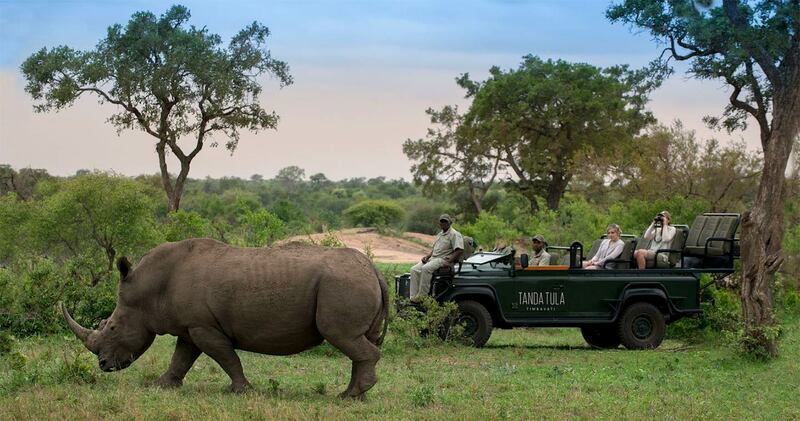 The Timbavati Game Reserve offers excellent opportunities for viewing Africa’s Big Five and your guide and tracker will do everything they can do for you to see these animals within their natural habitat. But let’s not forget that others – like a giraffe or hippo – are just as exciting to spot. They walk with an elegance grace, have an amazing coat and light blue eyes: the leopard, also known as ‘The Prince of Darkness’. This is the most shy and elusive one of the Big Five. Leopards are excellent in playing hide and seek: if they don’t want to be seen, they can be perfectly camouflaged. With their amazing set of killer tools – sharp claws, strong muscles and curved canines – leopards tend to drag their fresh kill up in a tree, where other animals such as lions and hyenas don’t bother them. So never forget to look up; the Timbavati Game Reserve proved to be an excellent place to spot this dotted foxy cat. King of the African savannah: seeing a pride of lions in their own habitat will leave you with an indelible memory. Lions have an enchanting power around them and have served as the symbol of Africa for millennia. And did you know lions are very social? They are the only wild cats that live in a pride. In a group, females hunt more than the males, but most will happily scavenge if they get the chance. Timbavati Game Reserve is known for its multitude of lions, so get your camera ready. Not quite the lazy bush cow as you might think: the buffalo is one of Africa’s most dangerous animals with very few predators. 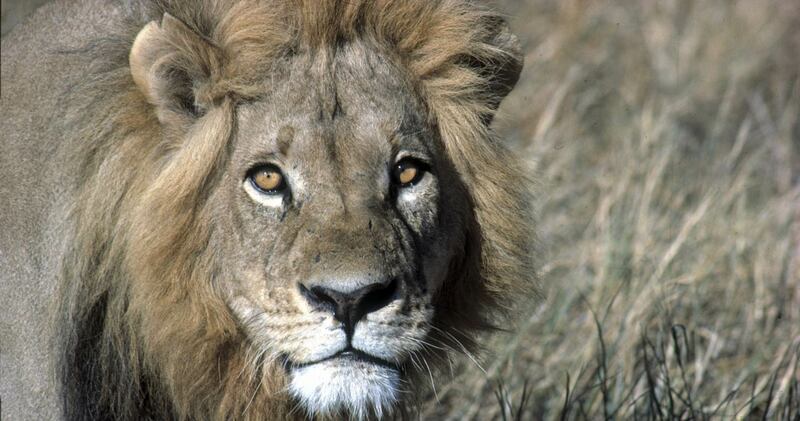 Lions might try to go for a calf, but are likely to pay the price later when an angry herd takes revenge. 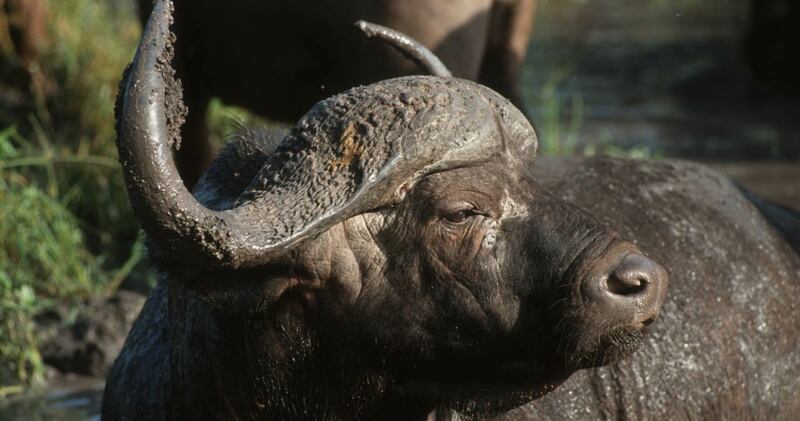 Buffalos need to drink every day, so they are often found at a waterhole. Although they can be notoriously bad tempered, their wise gaze – as once described by a novelist: ‘They look at you like you owe them money’ - makes them thrilling to see. The rhino is a pre-historic heavyweight that weighs in at 2.500 kilo. There are two types of rhinos in Africa: the black and white rhino. As you might expect, the white rhino is not white, but grey like the others. The name ‘white’ was misinterpreted after the early Dutch settlers used the word ‘wijd’ (wide), referring to its broad lips. But what’s in a name? Just be in awe of their imposing appearance and mythic status. 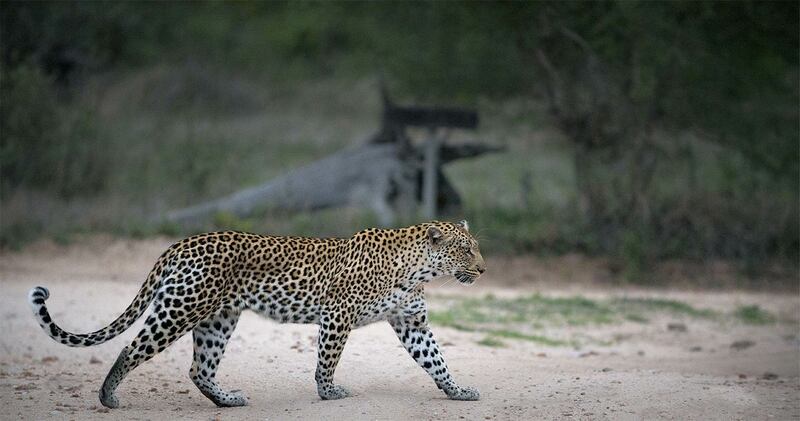 The Greater Kruger National Park truly boasts some amazing wildlife numbers. Some staggering numbers: 517 species of birds, 147 species of mammals, 114 species of reptiles, 50 species of fish, and 33 species of amphibians have been recorded. 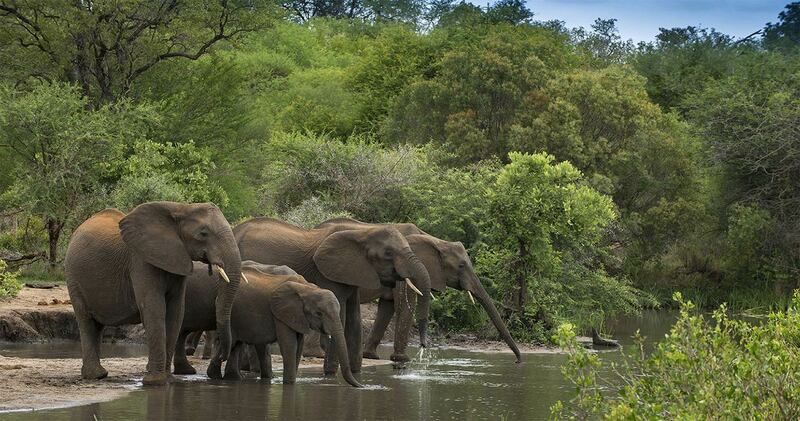 Kruger National Park has more mammals than any other game reserve in Africa.